As I suggested earlier on Wednesday, President Trump is likely to deploy U.S. military forces to Colombia before Feb. 23. But where might those forces come from? One possible answer is the Theodore Roosevelt Carrier Strike Group, and the 11th Marine Expeditionary Unit, or MEU, embarked on the USS Boxer. Currently operating off their home port of San Diego in the Eastern Pacific Ocean, the U.S. Navy vessels are approximately 5-7 days' sailing time from Cartagena via the Panama Canal. And while I'm not sure whether the USS Theodore Roosevelt is on operational duty or pre-deployment training, a Navy spokesperson tells me that the Boxer and the 11th MEU are on "routine operations." That descriptor means deployment readiness. Correspondingly, seeing as the express purpose of a MEU is to offer rapid deployment capability, the Boxer's presence close to Colombia bears attention. Indeed, a MEU is exactly the type of unit that would fit the mission set of defending U.S. and Colombian interests along the Venezuelan border. Formed around an infantry battalion with an armored platoon (tanks), logistics and command elements, MEUs also possess aviation forces with helicopter attack and transport, and either Harrier or F-35B jet fighters. Wow. This article is speculative but I hope to God we don't conduct an intervention into that country. That is the last thing we need. Support Brazil and Colombia? Sure. Lead the thing? Hell no. With that said it would be nice to see Venezuela succeed instead of constantly teetering on the edge of being a failed state. I guess we'll know soon enough. 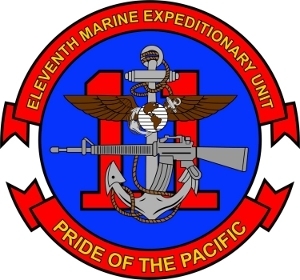 The 11th MEU will probably set sail soon.